When I was younger, my father would take my brother and me to the mountains, where together with neighbors and the elders of our drinking water council we performed hamanos, days of labor, carrying water to our community’s homes. The effort and sacrifice that this required helps me today decide to join the national March for Water. Water is life for living beings and not a commodity for the profit of some and the impoverishment of others. There is a small dam in Parracana, a place many in Cantel know well as nearby there was rich grassland. My family used to graze the goat and the cow that we once had there. 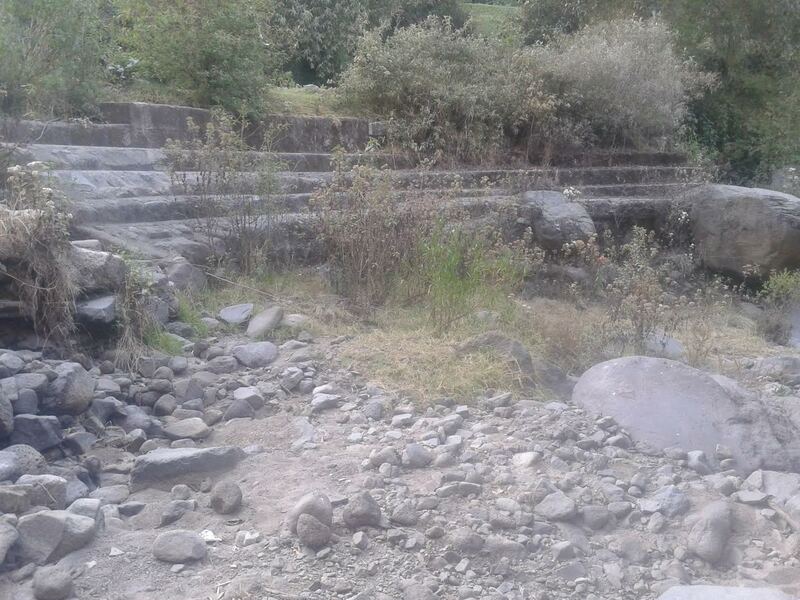 Today the area is a ruin, in large part because the dam was built for the use of the Cantel factory and not for local communities. Dam at Parracana, Cantel. Photo by Esteban Sacalxot. 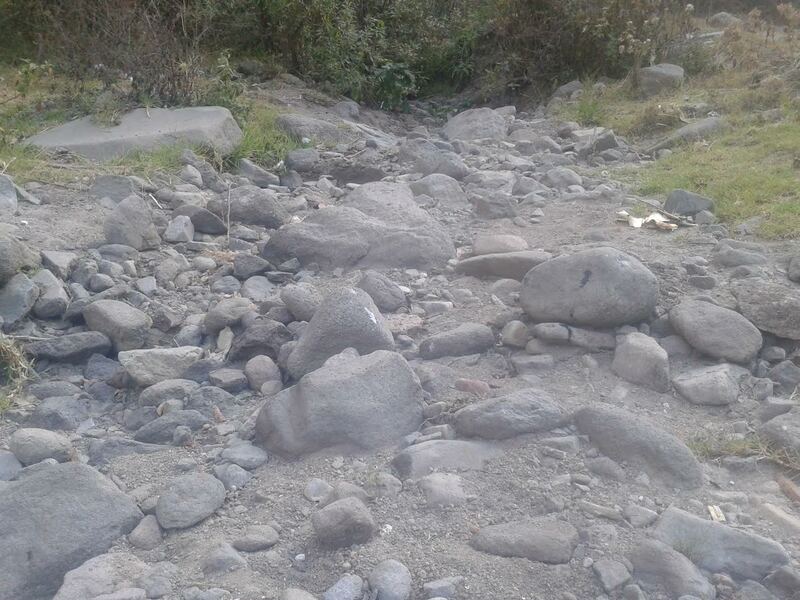 The most alarming part is that no more does water flow in the dammed stream except during the rainy season. It’s clear that Cantel’s water has begun to dry up. Dry streambed, Cantel. Photo by Esteban Sacalxot. Read more about the scarcity of water in Cantel here. But looking beyond our community, how many rivers are polluted? And how much water is there on our planet? We could say that there’s still so much water, and yet another question occurs to me: Of all that water, how much is it safe to drink? Adding to this, how many companies are profiting by diverting rivers from their natural courses to build dams and irrigate monoculture plantations, or by dumping their chemical waste into our rivers without taking measures to guarantee life for our flora and fauna? And worse yet, without taking measures to guarantee life for the people for whom those rivers are a means of life? Read more about water on the southern coast here. Because I drink water, I’m joining the March for Water, convinced that it is a means of life for our peoples, and must not be robbed from many for the profit of few through diversion, contamination, or privatization.